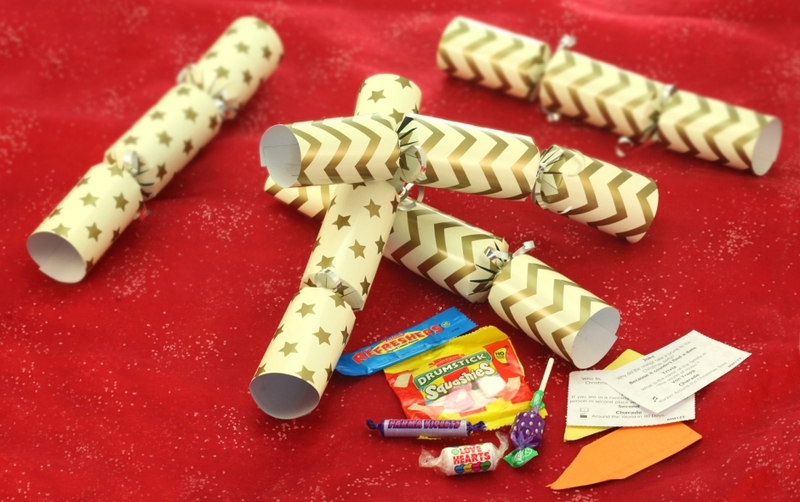 Why not make your own Christmas crackers this year and surprise your guests with a little gift that they do actually want to keep for themselves? Not a plastic ring in sight, our Swizzels sweets are ideal for use in a cracker and you can personalise each one by choosing your guest’s favourite. We simply bought a ‘Make your own Cracker Kit’ from Hobbycraft (RSP £4.00) that makes 6 crackers and even includes the paper hats and cheesy jokes. All you need to do is add the Swizzels sweets…will it be a mini pack of Love Hearts, Drumstick Lolly or Mini Refreshers Chew Bar? Step 1: Gather together one of each of the party hats, jokes, sweets and the cardboard cracker outers. 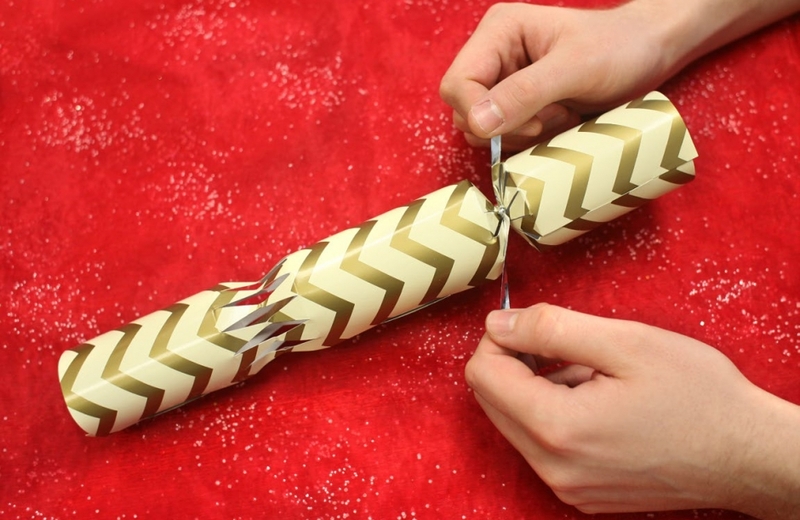 Step 2: Roll up the cracker and fasten the tab. 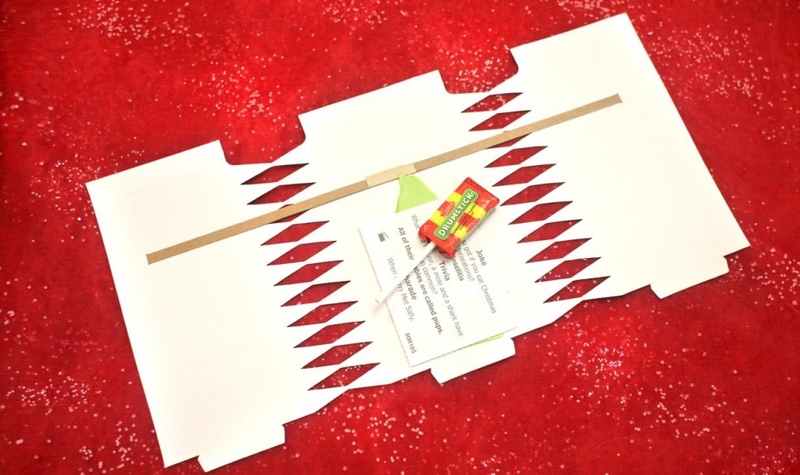 Step 3: Take one of the lengths of ribbon and tie it around one end of the cracker. 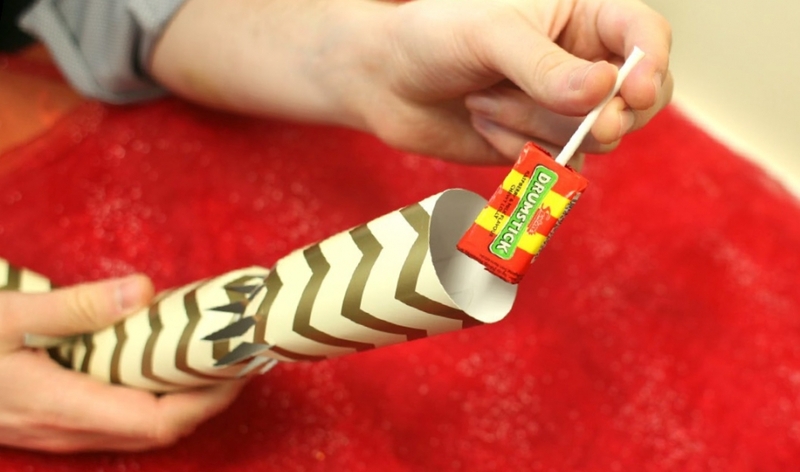 Step 4: Drop a Swizzels sweet in the open end of the cracker. 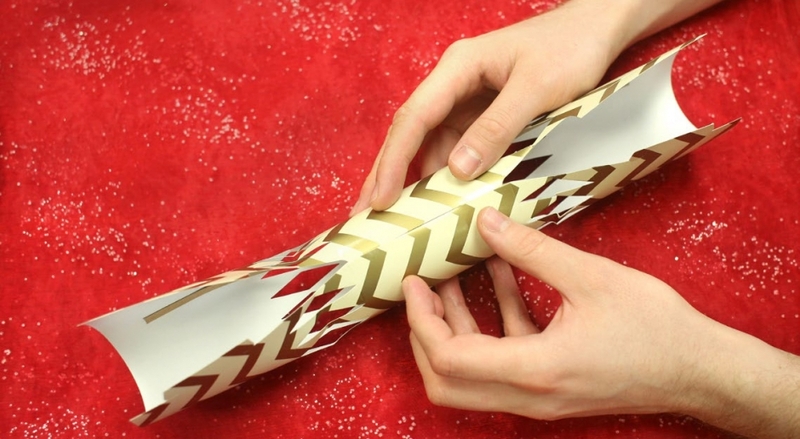 Step 5: Using a second length of ribbon, tie the other end of the cracker closed. You can always curl the ends using scissors if you wish. 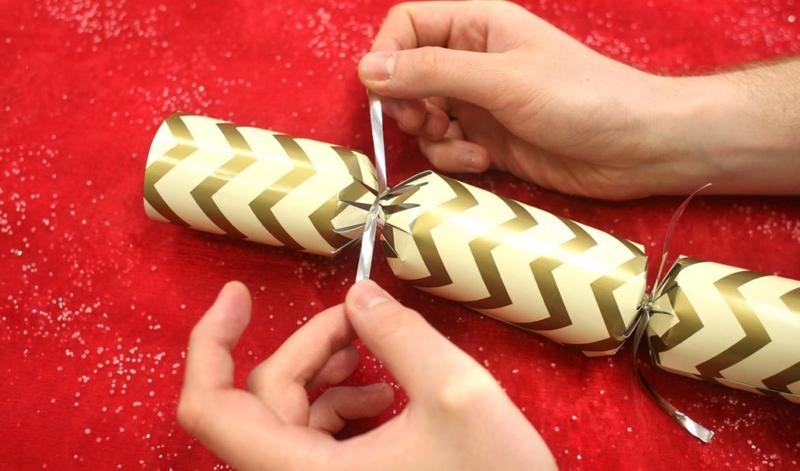 Step 6: Ta da – you’ll soon have 6 crackers complete with a delicious Swizzels surprise inside!